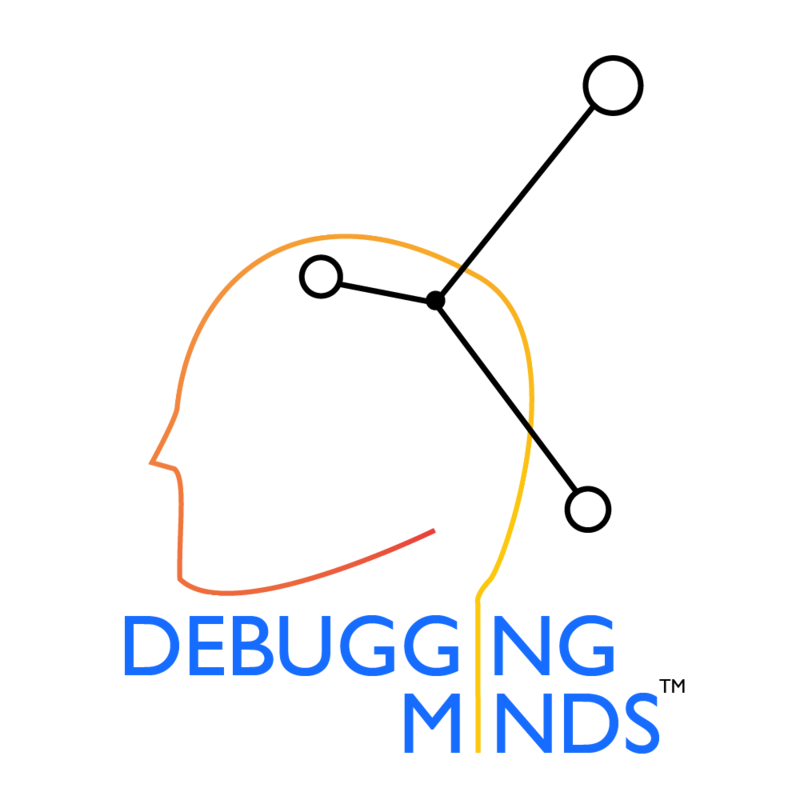 Welcome to debuggingminds.com (the “Website“). The Website is owned and operated by Debugging Minds. (“DM“, “us” or “we“). This agreement is in effect as of 1 November 2017. We may revise this Agreement from time to time without notice. You should visit this page periodically to review this Agreement. All content contained on the Website (collectively, “Content“), such as text, graphics, logos, icons, images, audio and video clips, digital downloads, data compilations, and software, are protected under Malaysian and foreign copyright or other laws and are owned by Debugging Minds. Any trademarks, service marks, graphics, logos, page headers, icons, scripts and trade names (each, a “Mark”) contained on the Website are proprietary to us or our licensors or licensees. Our Marks may not be used in connection with any product or service that is not ours in any manner that is likely to cause confusion among users or that disparages or discredits us or anyone else. All other Marks not owned by us that appear on the Site are the property of their respective owners, who may or may not be affiliated with, connected to, or sponsored by us. We grant you a limited license to access and make personal use of the Website. No Content of the Website or any other Internet site owned, operated, licensed, or controlled by us may be copied, reproduced, republished, downloaded (other than page caching), uploaded, posted, transmitted or distributed in any way, or sold, resold, visited, or otherwise exploited for any commercial purpose, except that you may download one (1) copy of the Content that we make available to you for such purposes on a single computer for your personal, noncommercial, home use only, provided that you (i) keep intact all copyright, trademark and other proprietary rights notices; (ii) do not modify any of the Content; (iii) do not use any Content in a manner that suggests an association with any of our products, services or brands; and (iv) do not download Content so as to avoid future downloads from the Website. Your use of Content on any other website or computer environment is strictly prohibited. You should be aware that when you visit the Website, you could be directed to other sites beyond our control including links to or from other sites may or may not use our Marks. Any opinions, advice, statements, services, offers, or other information or content expressed or made available by such third parties, including information providers and users, are those of the respective author(s) or distributor(s) and not of DM. Neither we nor any third-party provider of information guarantees the accuracy, completeness, or usefulness of any content, nor its merchantability or fitness for any particular purpose. In some instances, the content available through DM represents the opinions and judgments of the respective third-party information provider or user, and not of us. We do not make any representations or warranties as to the security of any information, content or materials (including, without limitation, credit card and other personal information) you might be requested to give to any third party. You hereby irrevocably and unconditionally waive any and all claims against us with respect to information, content and materials contained on the website (including, without limitation, user-generated content), on third party sites, and any information, content and materials you provide to or through any such third party sites (including, without limitation, credit card and other personal information). We strongly encourage you to make whatever investigation you feel necessary or appropriate before proceeding with any online or offline transaction with any third party. We reserve the right to disable links from or to third-party sites, although we are under no obligation to do so. DM will assign a password and account ID to you so you can access and use certain areas of the Website. Each user who uses such assigned password and ID shall be deemed to be authorized by you to access and use the Website, and DM shall have no obligation to investigate the authorization or source of any such access or use. You acknowledge and agree that as between you and DM, you will be solely responsible for all access to and use of the website by anyone using the password and ID assigned to you whether or not such access to and use of the website is actually authorized by you, including all communications and transmissions and all obligations (including financial obligations for purchases through the website) that may result from such access or use. You are solely responsible for protecting the security and confidentiality of the password and ID assigned to you. You shall immediately notify DM of any unauthorized use of the assigned password or ID, or any other breach or threatened breach of the Website’s security of which you are aware. You will be responsible for any activity conducted under your assigned password or ID. DM may further restrict access by you to any areas of this Website, at any time, in its sole and absolute discretion. Use of the certain areas of the Website requires Internet access, audio manager software or other software allowing the downloading and storing of audio and audio-visual files in MP3 or other digital format (the “Software“), and, for certain downloadable content, a compatible player device (the “Device“). DM may, at any time and from time to time, in its sole discretion, modify, revise, or otherwise change the system requirements for the Website and the format of any downloadable content, in whole or in part, without notice or liability to you. Internet access, use of the Software, or use of a Device may result in fees in addition to any fees incurred on the Website. Software and Devices may require you to obtain updates or upgrades from time to time. Your ability to use the Website may be affected by the performance of the Software, the Device, or your Internet connection. You acknowledge and agree that it is your sole responsibility to comply with the system requirements of your Software and Device, as in effect from time to time, and to maintain, update, and upgrade your Software and Devices, including the payment of all Internet access, Software, and Device fees without recourse to DM. The information contained in or made available through the Website (including but not limited to information contained on message boards, in text files, or in blogs) cannot replace or substitute for the services of trained professionals in any field, including, but not limited to, financial, medical, psychological, or legal matters. In particular, you should regularly consult a doctor or medical professional in all matters relating to physical or mental health, particularly concerning any symptoms that may require in-person diagnosis or medical attention. We and our licensors, partners, content providers, experts and suppliers make no representations or warranties concerning any product, treatment, action, or application of medication or preparation by any person following the information offered or provided within or through the Website. Neither we nor our partners, or any of their affiliates, will be liable for any direct, indirect, consequential, special, exemplary or other damages that may result, including but not limited to economic loss, injury, illness or death. You alone are responsible and accountable for your decisions, actions and results in life, and by your use of the Website, you agree not to attempt to hold us liable for any such decisions, actions or results, at any time, under any circumstance. The content on the website is provided on an “as is” basis and without warranty of any kind, expressed or implied. DM makes no representations nor warranties regarding this website and the content, including, without limitation, no representation or warranty that (i) the operation of this website will be uninterrupted or error free; (ii) any content, including, without limitation, any information, data, product or service contained in or made available through this website will be of merchantable quality or fit for a particular purpose; (iii) defects or errors in this website will be corrected; (iv) this website will be free from viruses or harmful components and you assume the entire cost of all necessary servicing, repair or correction of any of your equipment or software; (v) communications to or from these websites will be secure or not intercepted. Under no circumstances shall we be liable to you or anyone else for any injury, loss, damage (including special, indirect, incidental or consequential damages) or expense arising in any manner whatsoever from (i) the use of, or any inability to use, the website or any content (resources) or functions thereof; or (ii) any act or omission, online or offline, of any user of the website or anyone else, even if we have been advised of the possibility of such damages. Neither we nor any of our officers, directors, owners, employees, agents, licensors, managers, representatives and assigns be responsible or liable for data loss or corruption, cancellation, loss of access, delay, failure or downtime you may experience with any transmission or transaction related to the website. Each user agrees to indemnify, defend and hold harmless DM and our officers, directors, owners, employees, agents, licensors, managers, representatives and assigns, from and against any and all claims, demands, liabilities, costs or expenses whatsoever, including, without limitation, legal fees and disbursements resulting directly or indirectly from (i) your breach of any of the terms and conditions of this Agreement; (ii) your access, use or inability to access or use the DM website content or other content to which the DM website is or may be linked to from time to time; and/or (iii) your use of, reliance on, publication, communication or distribution, products, services, uploading or downloading of anything on or from the DM website. We respect the intellectual property rights of others. If you believe that your work has been copied on the Website in a way that constitutes copyright infringement, please send us in writing the information specified below. Please note that this procedure is exclusively for notifying us that your copyrighted material has been infringed. You should note that information sent or received over the Internet is generally unsecure and DM cannot and does not make any representation or warranty concerning security of any communication to or from this website or any representation or warranty regarding the interception by third parties of personal or other information. DM may collect personal information about users. Any personal information (e.g., name, e-mail address, telephone numbers or otherwise) provided by such users may be used by DM or the Companies as they may determine, without any compensation or consideration to the user. Further, by a user submitting content to the Website, including but not limited to stories, testimonials, photos, audio, video, and other information which may include the user name, photos, text, or otherwise, such user or provider grants DM the right and permission to review, edit, use and categorize such content provided in any manner we deem appropriate. DM shall have no obligation to return or use such content provided.